The summer will play host to a lot of festivals, concerts, parties and picnics. You probably do not want to carry your choice of beverage around with you during all this time. 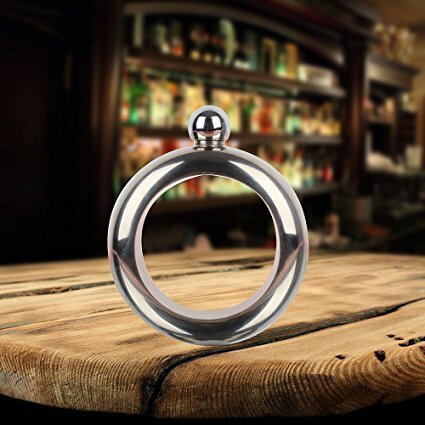 This elegant “bracelet flask” is an ornament you can wear to all these occasions. The top opens up to make it into a flask you can drink your beverage from. The bracelet flask glistens in the sunlight, and does not fade. It also has the perfect size which would be suitable for most people to wear. 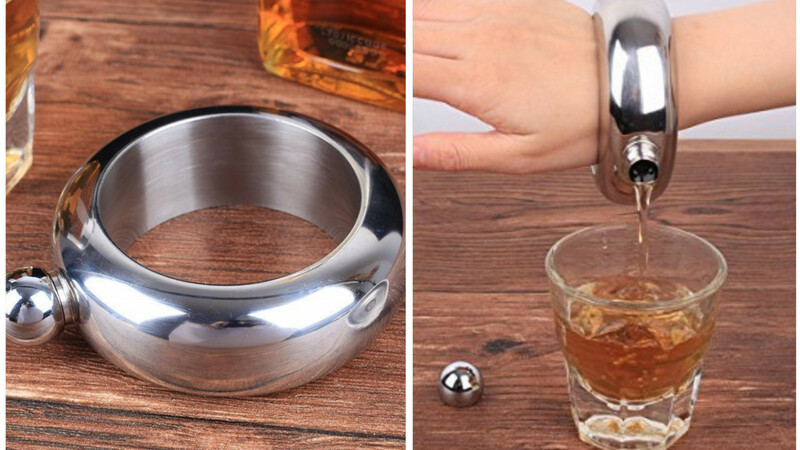 The bracelet flask will be an unexpected surprise for your family and friends at parties, picnics and concerts. 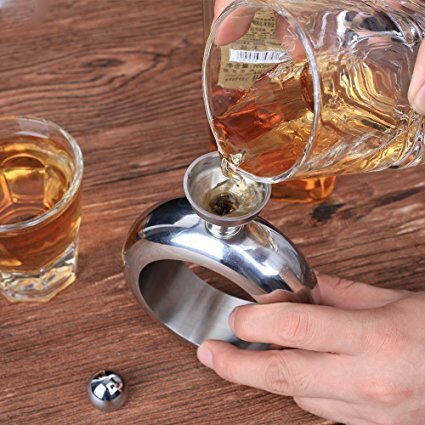 You can hold 3 ounces of liquor or any other beverage right on your wrist. You don’t have to wear just one bracelet flask, you can wear a few of them on your arm, if you would like! This means you can carry almost up to a bottle of drink right on your wrist. The bracelet flask is made of stainless steel and it comes in three different colors, silver, rose gold and rainbow. It is stylish and hip, as well as being very durable. The inner diameter measures 2.5 inches and the bracelet flask as a whole measures 3.5 inches in diameter. The best part is the removable cap, which will screw off easily so you can easily access your liquor or any other beverage of your choice.